Online sports betting company, Betway, has introduced two new exciting promotions, the Cup Calendar Challenge and Choose your Champions. 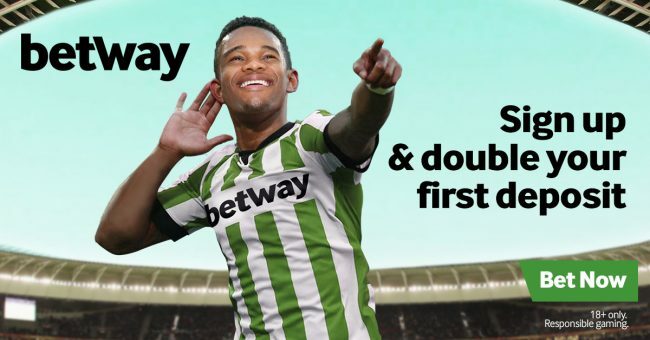 Over the past few years, Betway has been providing world-class services such as live betting, virtual gaming, and additional sports betting options to many Nigerian sports fans across the country. They continue to reach new heights in the Nigerian market by launching successful and rewarding promotions in the past and this month is no different. With the launch of two new promotions, sports fans can win cash prizes worth over NGN 300 Million. To kick-off the FIFA 2018 World Cup, Betway is giving sports fans a chance to win a grand prize of NGN 300 Million in the Choose your Champions promotion. 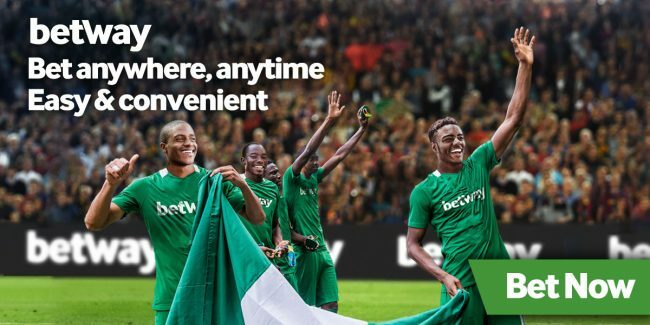 Betway continues to celebrate the 2018 World Cup by offering Nigerian fans daily deals and a grand prize in the Cup Calendar Challenge promotion. This fantastic promotion run from 14 June until 15 July 2018. Daily deals are offered on every single match all the way up to the Finals and give customers a chance to win a host of prizes, including smartphones, cash prizes, Free Bets and more. Winners of daily prizes will be awarded on the following day of any entered special or the following Monday if stipulated. To qualify for the Cup Calendar prize draw, customers need to bet on every Round of 16 games, Semi’s, Finals and 3rd place playoff and they will stand a chance to win a share of NGN 100,000 cash. The winners of the grand prizes will be announced after the conclusion of the competition on Monday, 16 July 2018. With the excitement of the 2018 World Cup, Betway is firmly set in bringing its customers interesting and interactive promotions with massive, life-changing prizes. very true,nice thing betway are doing.